In selecting the POI to be displayed on the map , there are no " Public Toilet " (WC) ? 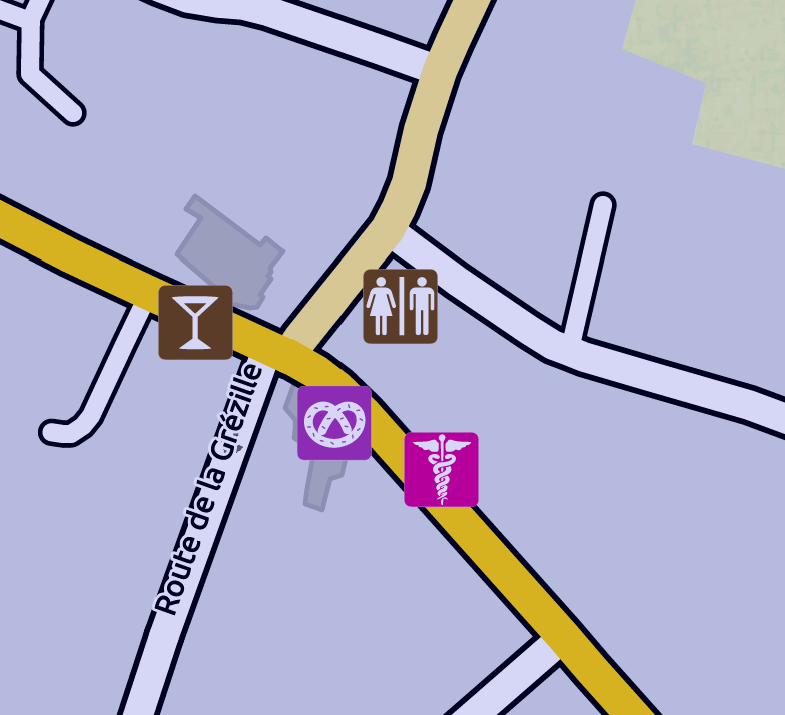 And it is not possible to navigate to the " Public Toilet " closest ? The add is a PLUS ! Dans le choix des POI qui seront affichés sur la carte, il n'y a pas les "Toilettes Publiques" (WC) ?! Et il n'est pas possible de naviguer vers les "Toilettes Publiques" les plus proches ?! Le rajouter serait un PLUS ! I agree. For OSM there is a tag amenity=toilets available, so MFN could add these points to its POIs, if acces=public (category travel). @MacDony: You posted a number of french topics. Please note that this is an English forum. Please use English. Would it be possible to add the " public toilet " in the search ! By chance I found, that is already the third topic for toilets. this is the third topic which requests the addition of public toilets, but we do not have the staff returns. Only the display of the icon, without doing the navigation, as in this application, it is not possible? There are websites that list them and they can be downloaded as POIs. I know of a UK and French one. You can make this into your own POIs. No doubt there are sites for other countries. the Poi "public toilets" is in the database OSM in "Administration" with "school" and "bank" etc ... it is necessary, I think, to activate the poi "toilet" in "administration" and that will allow have public toilets in all countries. Where can I download the Public Toilet Pois for Europe and the Picnic Tables, thank you for your help. Hello everyone and good holiday season. I found how to download public toilets by region because if I take all the France it does not work, too much data I guess. 3- to return the region "Brittany" for example: "amenity = toilets in Bretagne"
7- left "download as Gpx"
Do this manipulation with each region. Bonjour à tous et bonnes fêtes de fin d'année. J'ai trouvé comment télécharger les Toilettes Publiques par région car si je prend toute la France ça ne fonctionne pas, trop de data je suppose. 7- à gauche "télécharger en tant que Gpx"
Faire cette manipulation avec chaque région.